CUSTOMERmeans the person, entity or corporation acquiring the GOODS. DUTY AND TAXES means all charges exluding FREIGHT CHARGE incurred either by the CUSTOMER or the SUPPLIER directly relating to the export and import of goods between countries, charged by a Government entity, a Private forwarding entity or any other entity involved with the clearance or release of said goods. FOREIGN CURRENCY includes all currencies other than Australian Dollars. FREIGHT CHARGES means all amounts incurred by either the CUSTOMER or SUPPLIER excluding DUTIES ANT TAXES directly relating to the export and import of goods between countries, charged by a Government entity, a Private forwarding entity or any other entity involved with the transportation of said goods. GOODS means all products supplied to the CUSTOMER by the SUPPLIER from time to time. GST refers to Australian Goods and Services Tax and is applicable to GOODS sold within Australia only. PURCHASER means CUSTOMER as defined in these Standard Conditions of Sale. 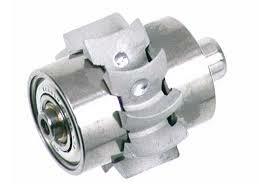 SUPPLIER means Miniature Bearings Australia Pty Ltd as a trading entity, including it's subsidiaries and businesses. This includes, but is not limited to Small Parts & Bearings Pty Ltd, Bearing Shop Online and Hobby & Engineering Supplies Pty Ltd. TERMS means these Standard Conditions of Sale. US means SUPPLIER as defined in these Standard Conditions of Sale. US$ means United States Dollars. WEmeans SUPPLIER as defined in these Standard Conditions of Sale. YOU means CUSTOMER as defined in these Standard Conditions of Sale. 1.1 These TERMS and Conditions constitute the entire agreement between the parties for the GOODS. Any prior arrangement, representations or undertakings are hereby suspended. 1.2 Payment TERMS are determined on a case by case basis, and will be advised by letter upon acceptance of the PURCHASER as an account CUSTOMER. 1.3 The minimum invoice value is $30.00+GST. WE reserve the right to reject any order which does not meet the minimum invoice value. 1.4 If the CUSTOMER breaches agreed Payment TERMS, the CUSTOMER must pay any collection, commission and/or legal fees charged by any third party to recover money due. 1.5 If the CUSTOMER makes any default in payment or commits any act of bankruptcy or being an incorporated company, passes a resolution for winding up (except for the purposes of reconstruction) or an application is presented for its winding up, the SUPPLIER may without prejudice to its other right either suspend further deliveries, require payment in advance for all such deliveries or terminate any contract forthwith by written notice. 2.1 Title to all goods sold shall only pass to the CUSTOMER free of encumbrances upon payment in full by the CUSTOMER of all monies due by the CUSTOMER on any account. (i) The CUSTOMER will not grant or seek to grant any Security interest in the goods adverse to the interest of the SUPPLIER. 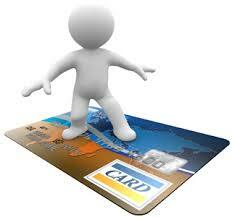 (ii) The SUPPLIERS Security Interest secures all monies owing by the CUSTOMER to the SUPPLIER on any account. (iii) The SUPPLIERS Security Interest in the goods (and the proceeds) is a "Purchase Money Security Interest" (PMSI) under the PPSA to the extent that it secures payment of the amounts owing in relation to the goods. (v) The SUPPLIERS Security Interest attaches to the goods when the CUSTOMER attains possession of the goods. (c) The SUPPLIER is and will be entitled at any time to demand the return of the goods, to retake possession of the goods and to recover the deficiency on resale plus cost of repossession from the CUSTOMER and the CUSTOMER must do all things necessary to immediately permit the SUPPLIER without notice and without liability to the SUPPLIER, to enter and access any premises occupied by the CUSTOMER in order to search for, locate, identify, retrieve and remove those goods to which the SUPPLIER has title. (d) If there is any inconsistency between the SUPPLIERS rights under this clause and its rights under Chapter 4 of the PPSA, this clause prevails. (g) The CUSTOMER waives its right to receive any notice under the PPSA (including notice of a verification statement after registration or variation of a registration) unless a requirement for notice cannot be excluded under the PPSA. 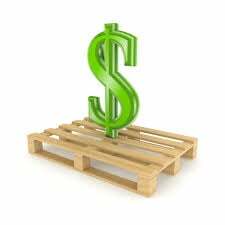 2.2 Insurance of goods in transit between the SUPPLIER and the PURCHASER is the responsibility of the PURCHASER of the goods. Refer section 10. 3.1 The SUPPLIER reserves the right to amend the recommended prices and information set out in its current pricelist without notice, and all GOODS will be charged at the price ruling at the time of delivery. 3.2 All prices shown are quoted exclusive of GST unless otherwise stated or agreed. 3.3 Prices submitted from the SUPPLIER by formal quotation will be quoted using Australian Dollars (A$). Prices may be offered by the SUPPLIER using FOREIGN CURRENCY on request, and at the discretion of the SUPPLIER. 3.5 Orders placed using FOREIGN CURRENCY must be paid in full in the currency invoiced. Fees and charges must not be deducted from the payment amount. All fees and charges applicable must be paid by the CUSTOMER. The SUPPLIER will only be liable for charges incurred by their own Australian bank. Low value overseas orders may be subject to a bank fee to cover SUPPLIER bank charges. 3.6 Payments of FOREIGN CURRENCY by credit card will be charged in A$ at the ruling rate that the SUPPLIER would have paid on the day of charge in order to obtain said FOREIGN CURRENCY. Once charged in A$, the amount the CUSTOMER is charged by the credit card issuer is entirely a matter between the CUSTOMER and the card issuer. 3.7 Charges apply for the provision of Certificates of Conformance and/or RoHS Certificates. If these types of certificates are required you will need to contact us prior to placing your order to find out the associated costs. Orders requiring such certificates must then be faxed to us with a line item included specifying the certificate required and the associated cost. 3.8 FREIGHT CHARGES quoted by SUPPLIER for deliveries of GOODS to a CUSTOMER do not include DUTY AND TAXES. DUTY AND TAXES are the responsibility of the CUSTOMER. 3.9 FREIGHT CHARGES quoted by SUPPLIER for inbound deliveries of GOODS specially or urgently procured will include DUTY AND TAXES. 4.1 WE reserve the right to withdraw items from sale at any time for any reason, including but not limited to, errors in the data presented in our published catalogues of all types, errors in pricing, withdrawal of the item by our SUPPLIERS. 4.2 WE will not be liable to YOU or anyone else for withdrawing any items from sale, or refusing to process any order. 5.1 Written quotations remain valid for 30 days from issue date, but may be withdrawn at any time subject to clause 4. 5.2 WE encourage written quotation requests. Verbal requests are discouraged due to the large number of items in our range and the possibility that errors may occur through misinterpretation. WE reserve the right to reject any CUSTOMER order resulting from a verbal misunderstanding. 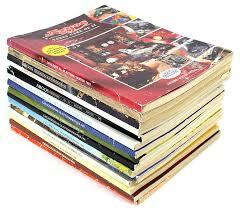 WE respond to all written requests with a written quotation. Whilst WE take great care with written quotations, it is the CUSTOMERS responsibility to ensure that the correct items have been quoted. 5.3 Providing quotations for special items (Production Items) incurs costs. Before such quotations are issued, the SUPPLIER needs to be assured that the enquiry is genuine. To facilitate the process and avoid unnecessary costs an estimate may be issued first. Should the CUSTOMER accept the estimate and wish to proceed with a firm quotation, a deposit may be requested based on 30% of the estimated price. 5.4 If the ensuing quotation is lower than 10% above the estimated price it is expected that the CUSTOMER will proceed with an order. Should the enquirer not wish to proceed, the 30% deposit will be forfeited as payment for works undertaken in obtaining the quotation. 5.5 If the ensuing quotation is more than 10% above the estimate, the CUSTOMER may withdraw the enquiry and receive a refund of the full deposit paid. 6.1 Delivery of the GOODS may be totally or partially suspended by the SUPPLIER during any period in which the SUPPLIER may be prevented or hindered from delivery by the SUPPLIERS normal means of supply or delivery by normal route through any circumstances outside its reasonable control, including but not limited to strikes, lockouts, unavailability of stock, accidents or breakdowns of plant or machinery. The SUPPLIER will not be liable for any damages consequential or otherwise arising from its failure to deliver any or all of the GOODS. 6.2 Any failed delivery attempt due to incorrect details provided by the CUSTOMER must be paid for by the CUSTOMER. Subsequent delivery attempts will incur additional delivery charges. 6.3 If the CUSTOMER chooses a delivery method that is marked as ’untracable’, the CUSTOMER waives all rights to any recourse if the parcel fails to arrive at the destination. 6.4 The CUSTOMER may choose "Authority To Leave" if they do not wish to be present to sign for an otherwise traceable parcel. The CUSTOMER, in choosing "Authority To Leave" waives all rights to any recourse if the parcel is lost or stolen after it has been left by the delivery courier. 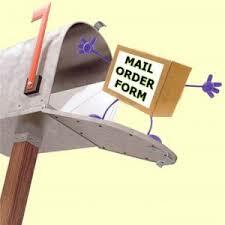 The courier’s mark on a consignment note or run sheet will be accepted as proof that a parcel has been delivered. 6.5 A CUSTOMER requesting multiple deliveries of items from any single or any combination of orders acknowledges that the SUPPLIER may choose to combine the orders and make a single delivery at the SUPPLIERS discretion. 6.6 A CUSTOMER requesting a single delivery of items on a single order or any combination of orders acknowledges that the SUPPLIER may choose to split said orders and make multiple deliveries at the SUPPLIERS discretion. 6.7 The SUPPLIER will attempt to deliver all items by the estimated delivery date, but is not bound to do so. 6.8 The SUPPLIER will deliver orders prior to the estimated delivery date if goods become available early. If the CUSTOMER requests goods to be held and not delivered until after a specified date, the SUPPLIER will make every endeavour to honour this request. 7.1 The PURCHASER is obliged to open and check all the GOODS supplied and to report any alleged deficiency within 7 days of the date of delivery. 7.2 Any claim by the PURCHASER for non-delivery, short delivery, or delivery of the wrong GOODS must be notified to the SUPPLIER within 7 days of the invoiced date. 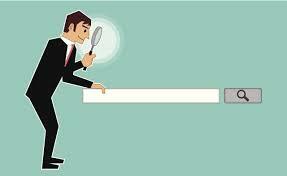 7.3 Any claims made outside of this date will be accepted at the sole discretion of the SUPPLIER, except where the supply of such GOODS breaches a condition prescribed by a statute or regulation which is unavoidable. 8.1.4) The GOODS and any packaging are returned in the same condition in which they were delivered. 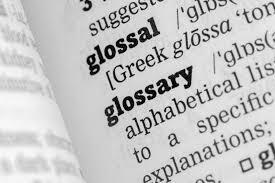 8.2.5) The PURCHASER has not advised of the deficiency as defined in the conditions of this clause. 8.2.6) The PURCHASER has purchased the entire stockholding of a given size and the SUPPLIER has initiated orders for replacement. 8.3 Incorrectly ordered GOODS returned for credit will be subject to a Handling and Restocking Fee. The amount of this fee may vary with respect to the nature of the GOODS and the costs associated with cancellation. 8.4 Freight for returning GOODS will be at the PURCHASERS expense and forwarding freight costs may be charged as applicable. 8.5 Cancellation of an order will not be possible once production has commenced. 8.6 Cancellation of an order will not be possible once shipment is underway from our sources. 8.7 Cancellation of an order before production has commenced and before shipment is underway may be possible, however a handling charge may be applied to cover costs incurred including but not limited to order processing, credit card transaction fees, bank fees and all communications necessary to cancel the order. 8.8 The SUPPLIER may cancel any order where prices do not match the currently listed price. 9.2 Whilst every care is taken in preparing all written communications, the SUPPLIER shall not be liable to any PURCHASER relying on any fact, matter or representation. PURCHASERS should satisfy themselves as to the suitability and fitness of any product before order. 9.3 Whilst every care is taken in compiling all information and technical data the SUPPLIER will not accept responsibility for subsequent loss or damage arising from its use. Nothing in these TERMS shall exclude or modify any conditional warranty implied by law where to do so would render such TERMS void. 10.1 The SUPPLIER follows standard accepted business practice for insurance of product in transit. The SUPPLIER is responsible for insurance of product whilst in transit to our store when sent through our nominated method. The SUPPLIER accepts no responsibility for insurance of product in transit from our store to the CUSTOMER. 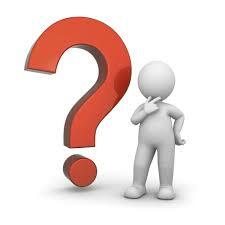 The SUPPLIER offers access to prepaid insurance options but does not compel the CUSTOMER to accept these options. The CUSTOMER accepts all responsibility for goods once they have left the SUPPLIER. 10.4 the SUPPLIER offers additional insurance at a small charge as indicated on the "Freight" page of the SUPPLIERS Web Site. 10.5 Notwithstanding the above, the SUPPLIERS sole responsibility is to provide proof of collection by the shipping company. 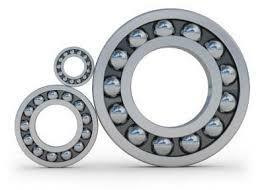 10.6 Miniature Bearings Australia products are not authorised for sale into the USA or Canada due to the reluctance of Australian insurers to provide product liability insurance into those two countries. 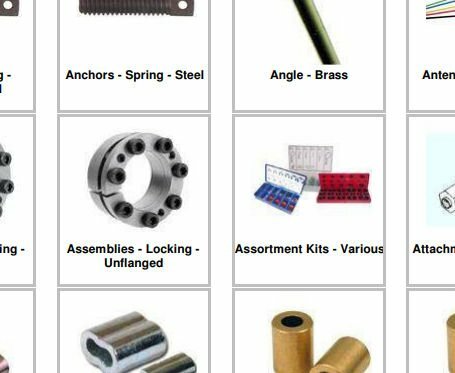 11.1 All product sold by Miniature Bearings Australia are covered by the manufacturers warranty against defects in workmanship. Products not meeting the minimum specifications of tolerances, hardness or other listed attributes will be replaced by product conforming to the correct specifications. 11.2 WE do not make recommendations of product for specific applications, and WE refer all CUSTOMERS requiring a recommendation to contact a qualified engineer. 11.3 WE recommend that all product be checked by the PURCHASER and their engineering consultant for accuracy and conformity to the specifications prior to installation in any application. 11.4 WE recommend that any product being used in a new application should be tested for suitability prior to being designed into the application. 11.5 Due to the nature of precision engineering parts WE do not warrant product for any damage caused to or by said product once the product has been installed and operated. 11.6 No warranty will be extended to GOODS which have been modified by anyone other than the SUPPLIER or an agent of the SUPPLIER. 11.7 No warranty will be extended to GOODS subjected to any misuse, neglect, improper installation or accidental damage. 11.8 No warranty will be extended to product once fitted and used in any application. 12.1 Account holders agree to provide payment within their account terms. 12.2 Failure to pay within designated account account terms may result in removal of the credit facility. 12.3 If a credit account becomes overdue and the SUPPLIER takes reasonable action to recover the amount owing, the CUSTOMER will automatically become responsible for all fees and charges incurred by the SUPPLIER in pursuing payment of the debt. 12.4 Items requiring special procurement, including all backordered items, will require payment in advance if the CUSTOMER does not hold a credit account with the SUPPLIER. 12.5 Pursuant to item 12.4, the SUPPLIER may at it’s sole discretion accept a reduced payment as a deposit. 12.6 Also pursuant to item 12.4, the SUPPLIER may at it’s sole discretion require a partial payment or full payment from any CUSTOMER, including an account holder, prior to initiating a special procurement. 13.1 Any contract for the sale shall be deemed to be made in the state of Queensland and the Law, courts or arbitration facilities of the State shall be used to construe or apply the contract or to determine or resolve any dispute or action arising under it. 13.2 the SUPPLIER reserves the right to vary these TERMS immediately upon giving notice to the CUSTOMER of such variation. 13.3 The invalidity or unenforceability of any of these TERMS shall not affect the validity and enforceability of the remainder of these TERMS. 13.4 Unless otherwise agreed to in writing by the SUPPLIER, the TERMS appearing herein shall be incorporated into all agreements entered into with the SUPPLIER to supply the PURCHASER with GOODS and shall be incorporated into the terms appearing in any document provided by or on behalf of the PURCHASER. In any situation where the terms of the PURCHASER conflict with the TERMS of the SUPPLIER, the TERMS of the SUPPLIER shall take precedence. 13.5 The placing of an order; signing of a manifest, delivery docket, consignment note or couriers manifest for GOODS received shall constitute acceptance of these TERMS by the PURCHASER. 13.6 GOODS remaining uncollected or returned as undeliverable will be deemed unwanted after 3 months. Such GOODS will be returned to stock and offered for re-sale. 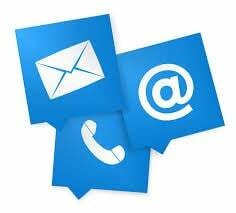 Should the original CUSTOMER contact US within 6 months, WE will make every endeavour to supply the GOODS as originally ordered. If WE are unable to supply as originally ordered, a refund will be issued. Payments for GOODS remaining uncollected after 6 months will be used to offset the cost of the GOODS, with the remainder going to charity. 13.7 Unclaimed credits after 12 months may be revoked and the money donated to a charity of our choice. 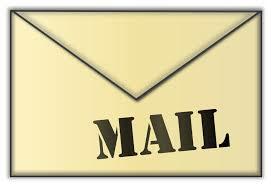 13.8 Wholesale customers will receive notification by e-mail of our online newsletters. Customers may opt out of the newsletter system at any time. We reserve the right to increase pricing for any wholesale customer we believe is not making an adequate attempt to keep up to date with regards to our products and services.